Another Android Game release. 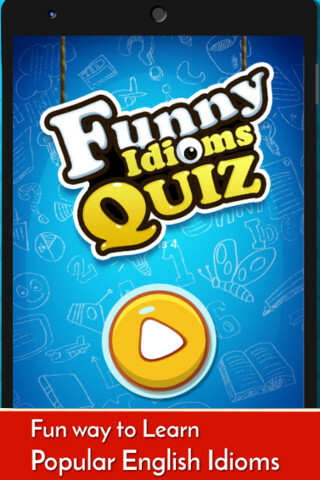 Funny Idioms Quiz Game provides a fun and quick way to learn the confusing meanings of English Idioms in a Fun way. This is actually a remake of my previous Idiom Quiz Game called as IGQ (If you are familiar with it). And the Beautiful & Colorful Art work is done by my friend and a talented artist Jomon Jose (Check his cool portfolio here). Could’nt have done this more beautiful. Get the Funny Idioms Quiz Game Free download for Android from Google Playstore. I hope that this educational game (pseudo) may help you learn some idioms which can improve your understanding and learning.